“Acadian Odyssey – Acadie to Nouvelle Acadie” is a commemorative quilt designed, appliquéd, pieced, and quilted by members of the Quilters’ Guild Acadienne. It depicts the saga of the Acadian exiles who were dispersed from their New World homeland of Acadie (modern day Nova Scotia) to North America, Europe, and the Caribbean. After years of wandering, the exiles found a new home in South Louisiana. 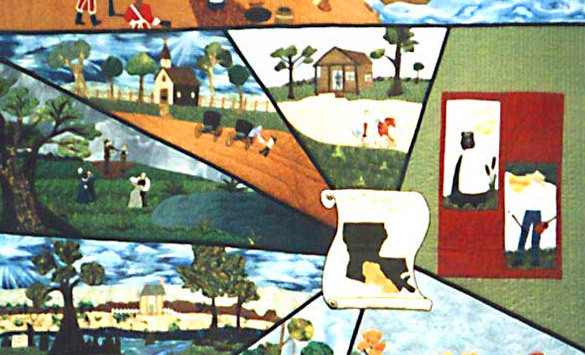 The Acadian Odyssey Quilt depicts their odyssey through a series of quilted panels. Our full-color commemerative poster measures 12"x18" and is suitable for framing.